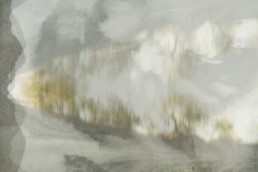 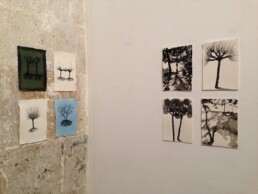 Tree Studies is a body of work inspired by trees observed and imagined during Archer’s artist residency in Spain during the first two months of 2016. 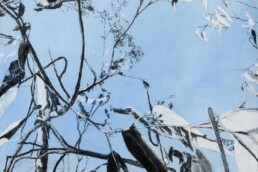 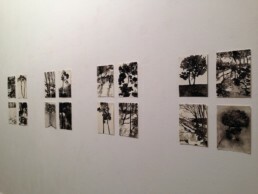 The exhibited pieces took three forms – ink and watercolour on paper (22 x 15 cm), ink on Japanese paper (100 x 66 cm), and an artist book employing ink on paper (170 cm x 28 cm). 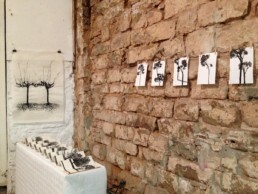 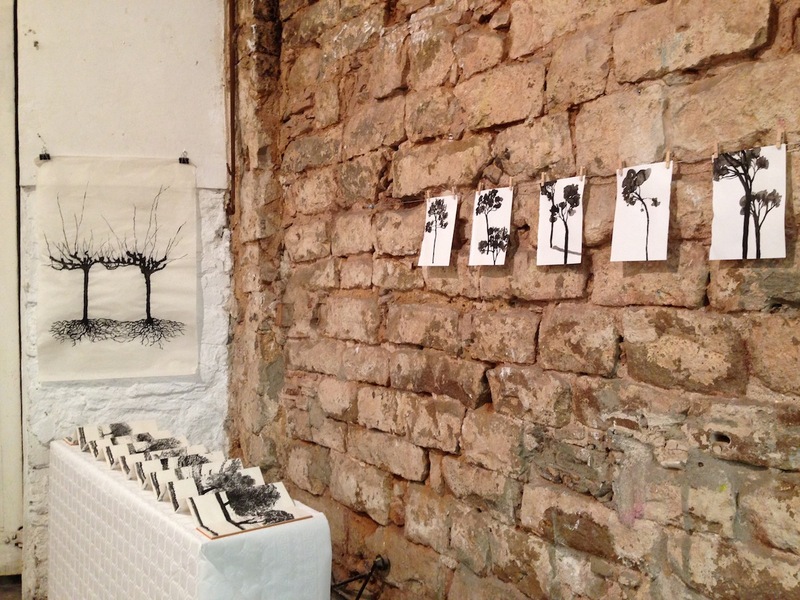 The exhibition was held in late February at Gallery Estudio Nomada, Gothic Quarter, Barcelona. 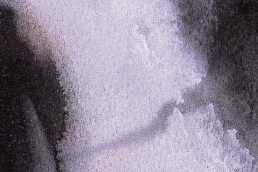 The two-dimensional works were all initiated in Spain. 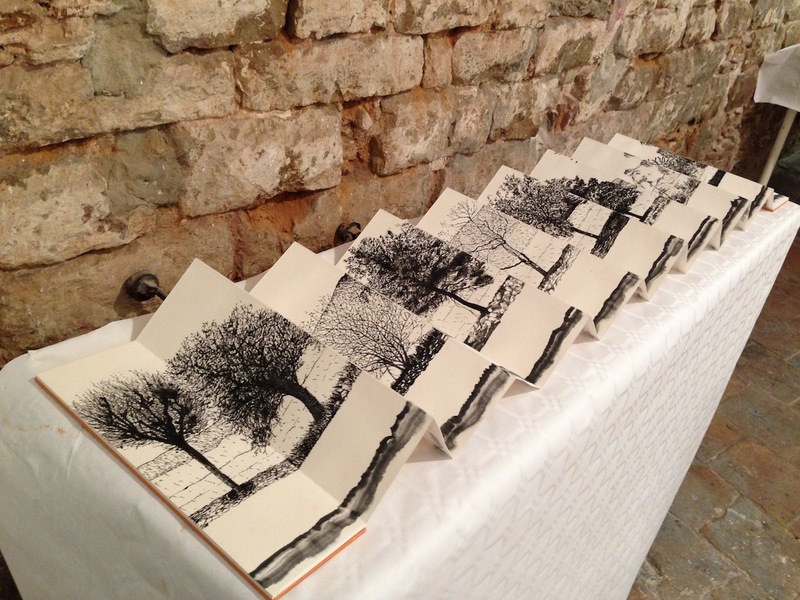 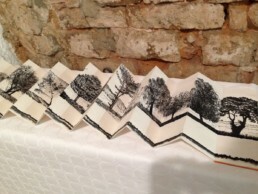 The folding book on the other hand underlines the fact that this exhibition is the culmination of a very particular artistic journey, and a larger project, that took place between May 2015 and late February 2016.The book begins by responding to trees encountered at the first of the four artist residencies that Archer was invited to undertake during this period – in Härlosa (Sweden). Subsequent pages refer to trees encountered in Ålvik (Norway), Mesana (Cyprus) and, finally, in Torrelles de Foix (Spain). 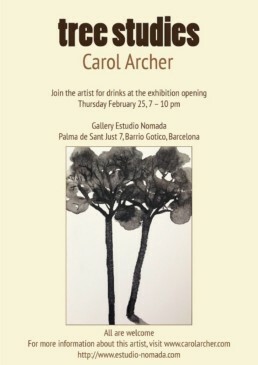 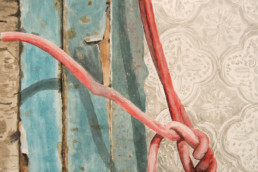 For more details about Archer’s experience of these four residencies, visit the above links. 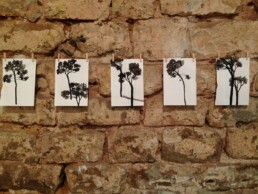 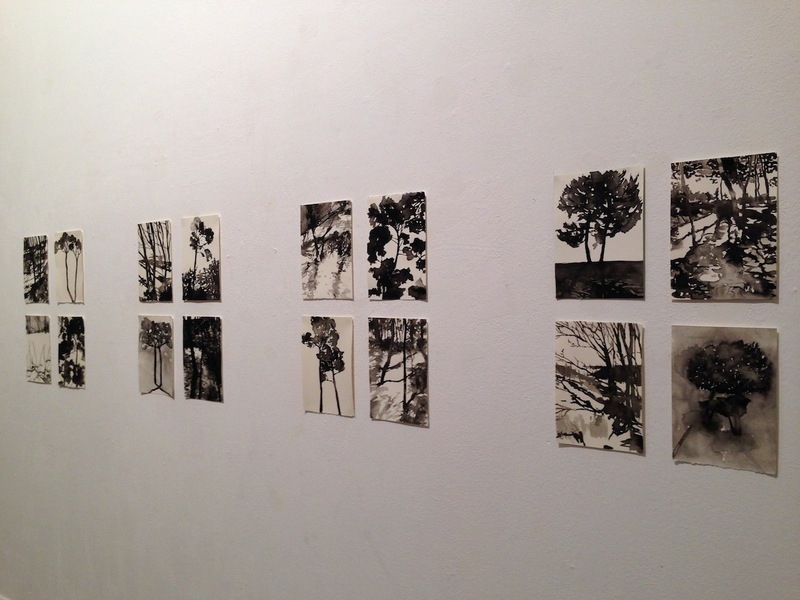 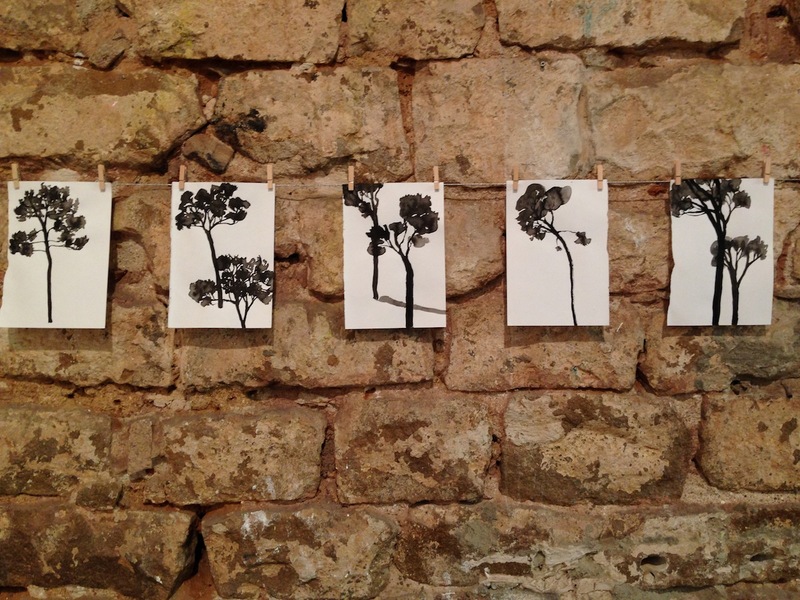 Installation view, Tree Studies, 2016, Gallery Estudio Nomada, Barcelona. 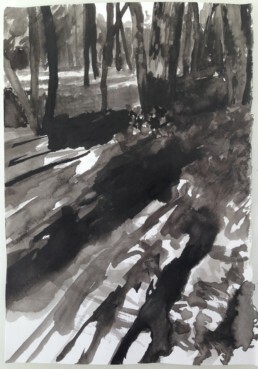 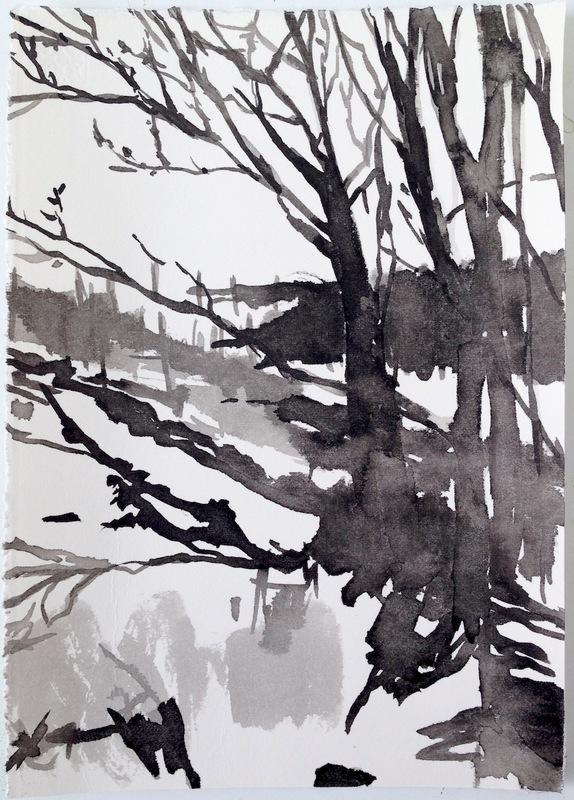 Tree Studies, 2016, work in progress, ink on watercolour paper, 14.8 x 21cm. 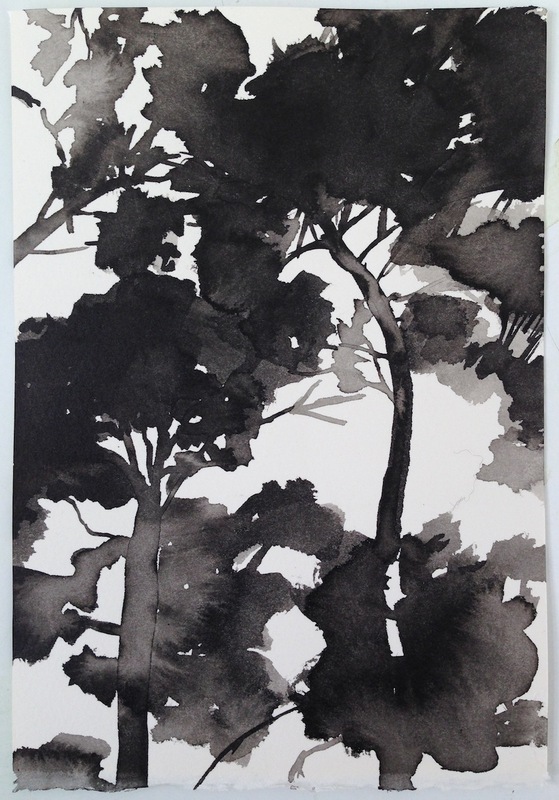 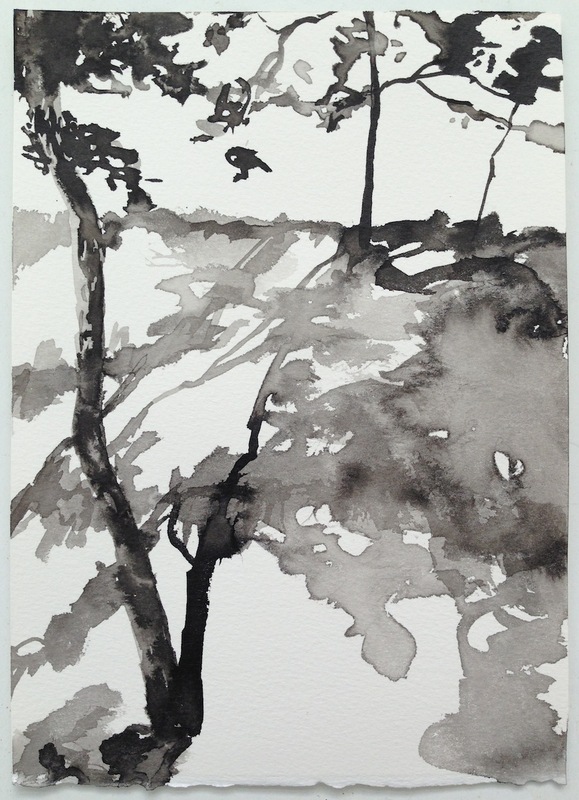 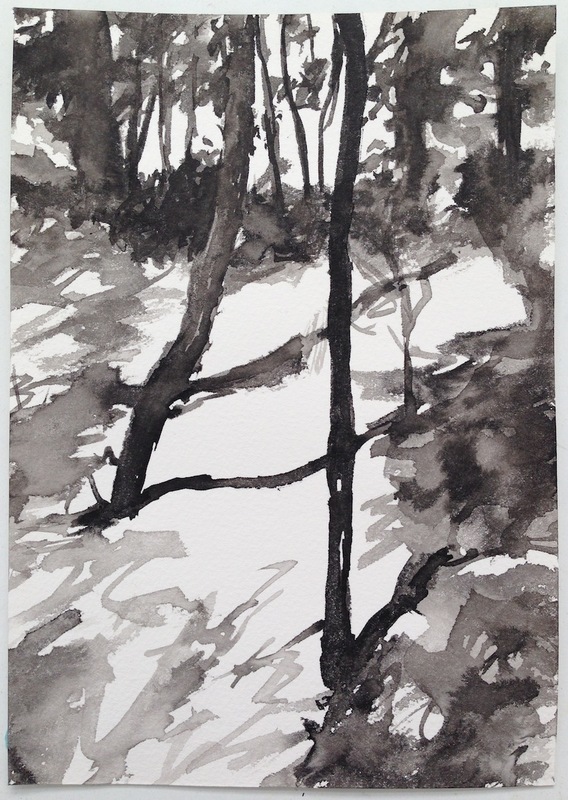 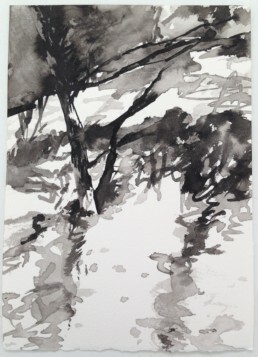 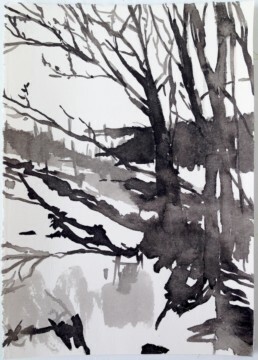 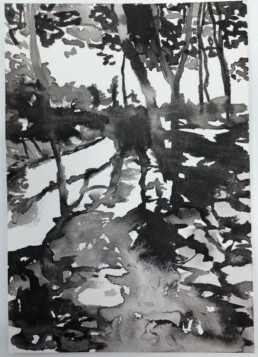 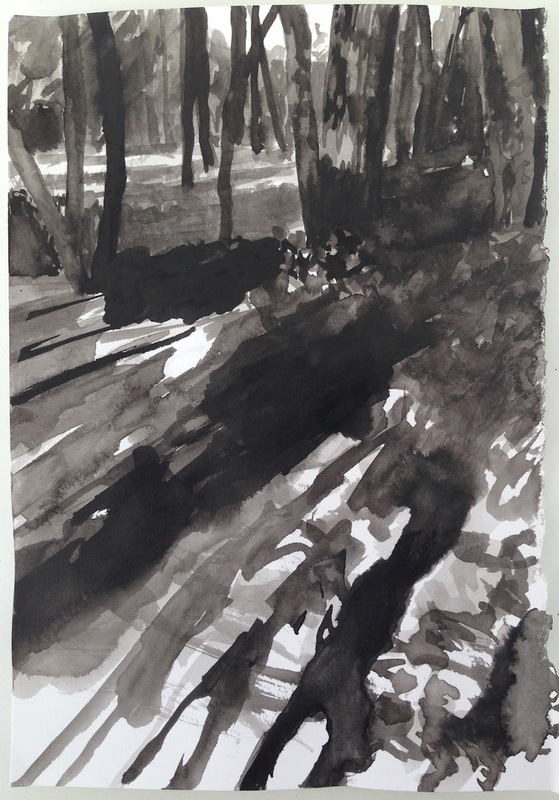 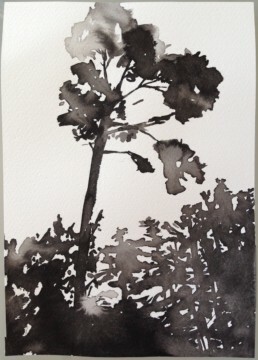 Tree Studies, 2016, work in progress, ink on water-colour paper, 14.8 x 21cm. Installation view, Tree Studies exhibition, 2016, Gallery Estudio NOmada, Barcelona. E-invite and poster for Tree Studies exhibition, Gallery Nomada, Barcelona.